Calling all Brokers! 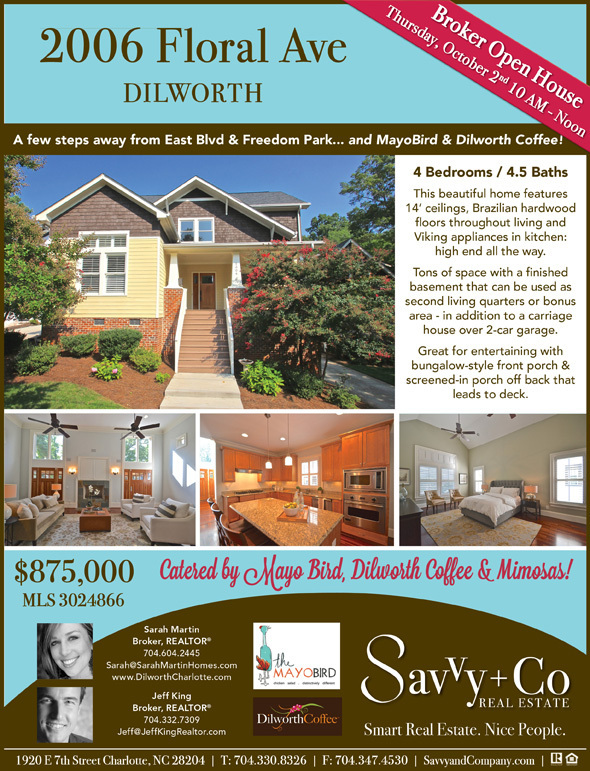 You won’t want to miss this fantastic Broker Open at 2006 Floral Avenue in the heart of Historic Dilworth. Catering by the Mayobird and Dilworth Coffee. 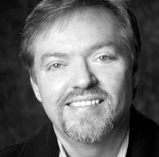 So stop by anytime from 10 – Noon nextThursday, October 2nd. 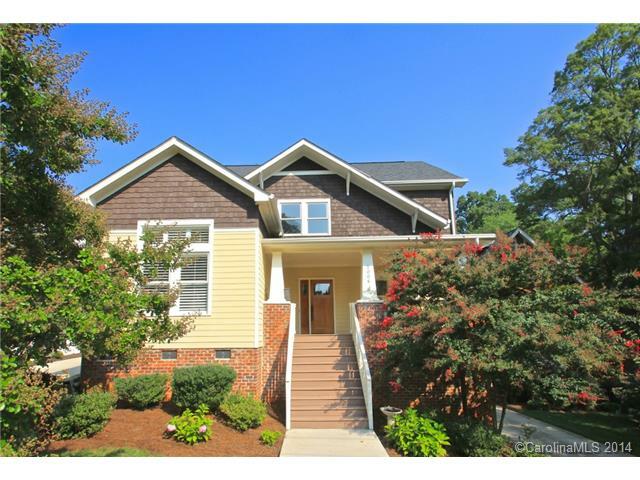 This gorgeous custom home a few steps away from popular East Blvd hot spots & Freedom Park. This beautiful home features 14′ ceilings, Brazilian hardwoodfloors throughout living & Viking appliances in kit: high end all the way. Tons of space w/ finished basement that can be used as second living quarters or bonus area – in addition to a carriage house over 2-car garage. Great for entertaining with bungalow-style front porch & screened-in porch off back that leads to deck. This4 BR/4 and 1/2 BA home does not disappoint!